Depression is a tough subject to tackle in every respect, but especially in filmmaking. If there are too many laughs the filmmaker can come off as insensitive. If the film is too serious and realistic the filmmaker may end up alienating people who are suffering this horrible affliction. And if the filmmaker makes too artistic an expression he or she may be seen as missing the mark entirely. It takes the right kind of filmmaker to take on such serious subject matter in a way that finds a balance between being too heavy, too lighthearted and just plain weird. 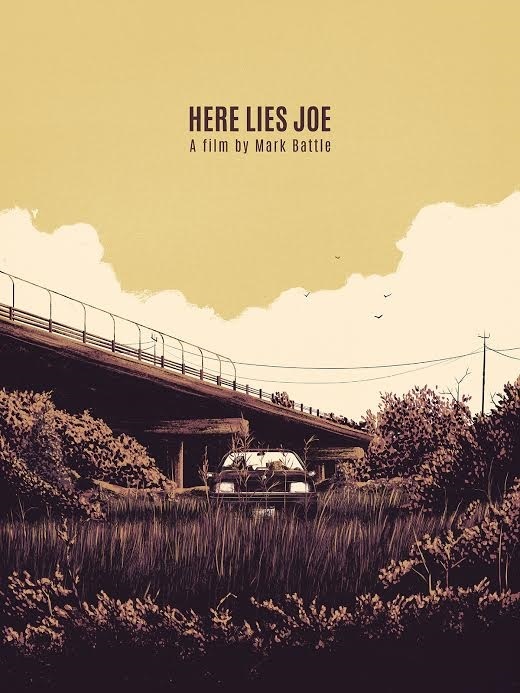 One of the latest offerings from filmmaker Mark Battle has managed to find that critical balance in the short Here Lies Joe. The film centers on Joe, a man deeply depressed and looking for a way out; be it through suicide, or otherwise. While attending a support group he meets Z, a spunky young woman whose apparent zest for life makes Joe question her intentions, and his own. The first few minutes of the film give the impression that it’s going to be a comedy, but that is not the case. While there are comedic elements, such as the general awkward feeling of the support group, and the quirkiness of the people there, the film’s overall tone is poetic and hopeful. It’s clear that filmmaker Mark Battle wants the audience to piece together the tragedy of Joe’s life, and what has brought him to this desperate place, and keeping that in mind as you watch the film is key. At around 23 minutes long, there isn’t enough time for a full character study, or background story of Joe, the main character, but all of the hints are there. The car Joe drives, the contents of the back seat, the phone he uses, and the tone of his voice all work together to explain more than words could. Sometimes words aren’t needed to explain things, and that is one element of filmmaking that Mark has excelled at, both in this film, and his others. Film is a medium of imagery, and it seems often that filmmakers forget this. Not so with Mark Battle and Here Lies Joe. Mark was sure to leave certain moments during the film with no dialogue, enabling the sense of solitude and heaviness to set in, which aided in bringing the enormity of the character’s decisions to the forefront. 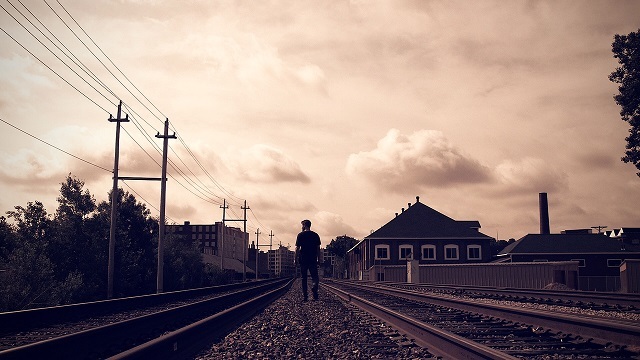 As I said in the beginning, Here Lies Joe is a story about one man’s struggle with thoughts of suicide, yet the overall tone is poetic and hopeful. It’s a story that shows the resiliency of people’s want for even the slightest glimmer of hope, no matter how desperate the situation, and one that highlights the difference even short, chance encounters can make in our lives.